The winners of the poll were Kait and Noh, and the second place runners-up were tied: Lon and Henri, and Raine and Jack. 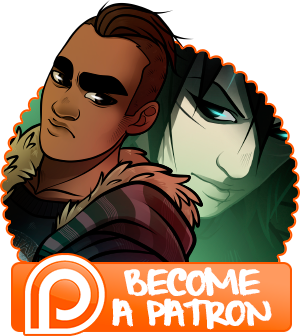 So, Kait and Noh will be drawn for February’s wallpaper, and Randi will probably be doing two more for patrons only. 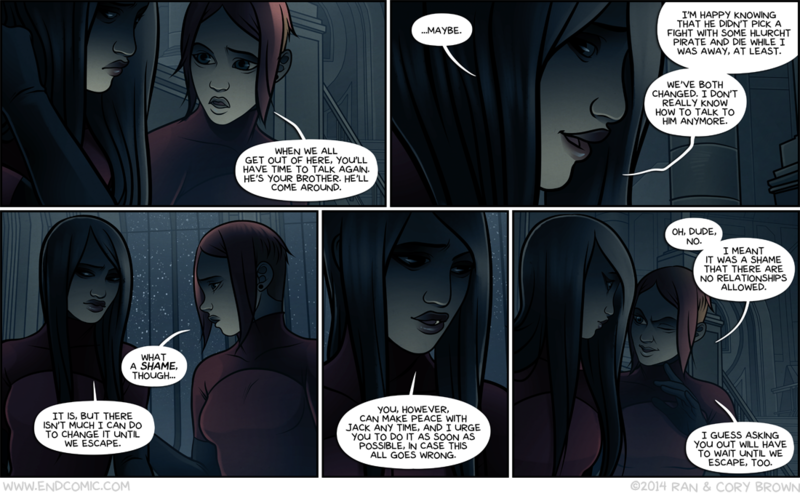 Please enjoy this comic page which humorously aligns with the poll results in an unintended but spectacularly appropriate coincidence. Please also enjoy the latest thrilling installment in the harrowing tale of the bord of directers. Your thoughts and comments are welcome, as always!